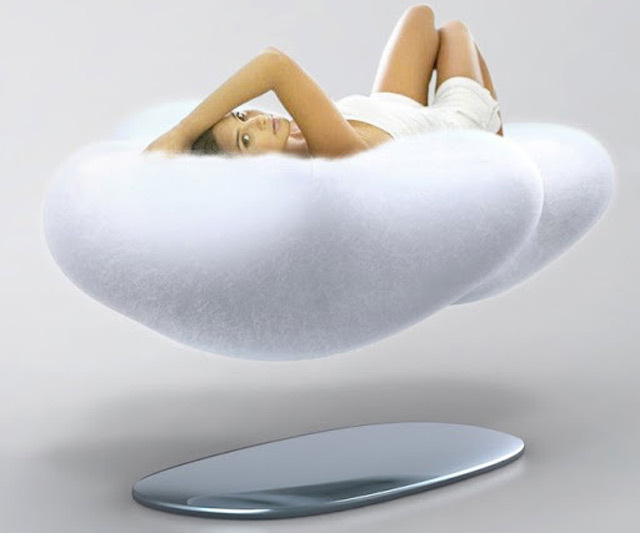 Though only a concept product--and one that debuted a few years ago--the Cloud Levitating Sofa remains maybe the coolest idea for and aesthetic execution of a couch ever. So I was thinking maybe one of you entrepreneurial whippersnappers out there might be willing to tweak the design in a way that circumvents copyright infringements, and create a salable piece of merchandise we could then feature as a for reals Dude! I want that! product that our readers can actually purchase. Or that they could purchase in theory, but probably not in practice, as I'm sure your R&D and production costs would make your floating cloud sofa cost as much as the Villain Chair or the Rocking Bed. The Cloud Sofa currently in hypothetical existence is the brainchild of D.K. 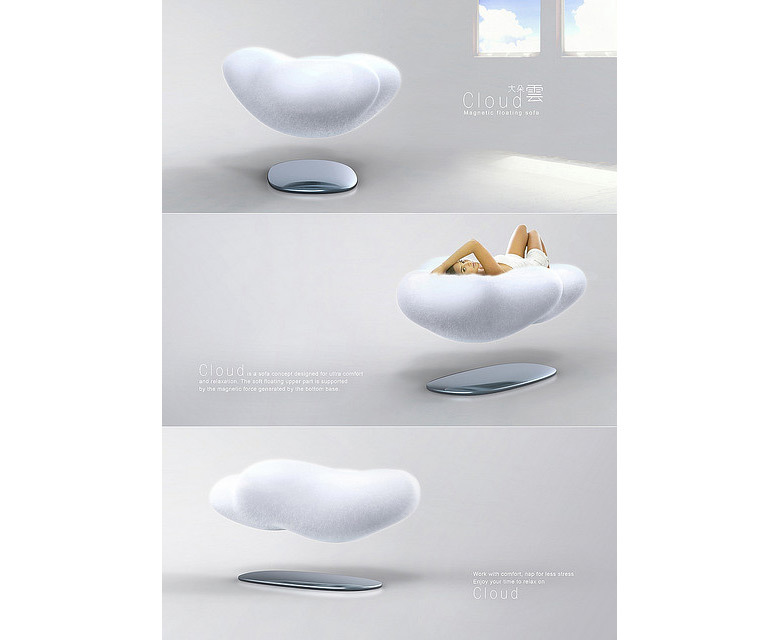 Wei, who won an honorable mention for it in Yanko Design's 2009 RELAX furniture concept contest. The levitating, heavenly-looking pillow achieves its state of gravity defiance with the help of magnets. A magnetic force generated by the bottom base pushes against and holds steady the cloud, even when persons of average weight are sitting, lying, or getting high and pretending to go to World 5 of Super Mario Bros. 3 on it.